This game set has it all! 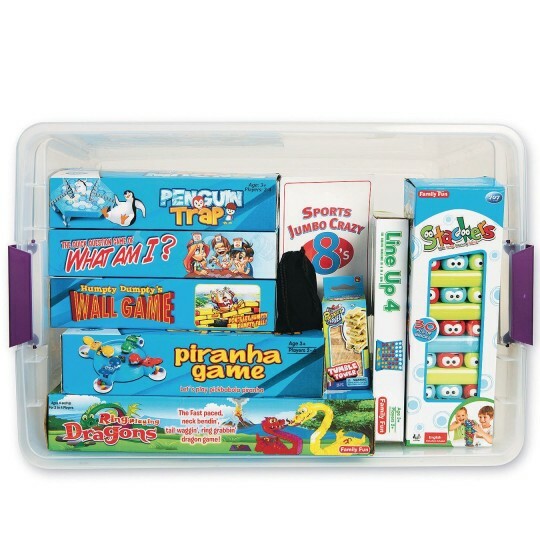 All packed in a convenient clear storage tub with a snap tight lid! 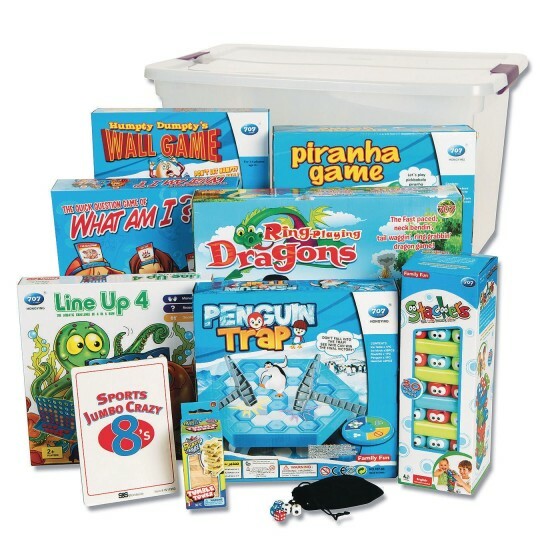 This fun filled game pack is filled with games with themes and play patterns that everyone knows or are easy to learn, all at a price that can’t be beat. Includes 10 games that are suitable for kids 5 and up, but that can be fun for almost any age. All packed in a convenient clear storage tub with a snap tight lid.